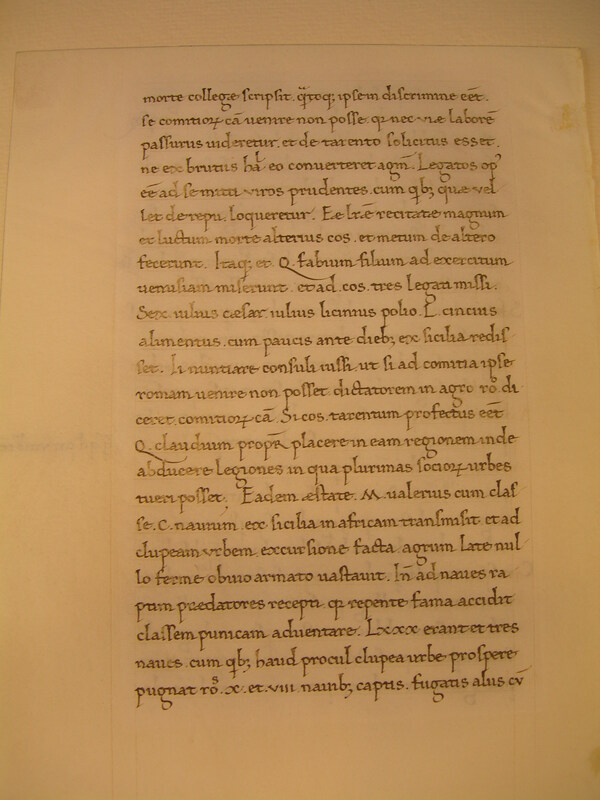 This leaf comes from a rare manuscript of Livy's History of Rome (completed in about 9 A.D.) copied in Italy in the middle of the fifteenth century. 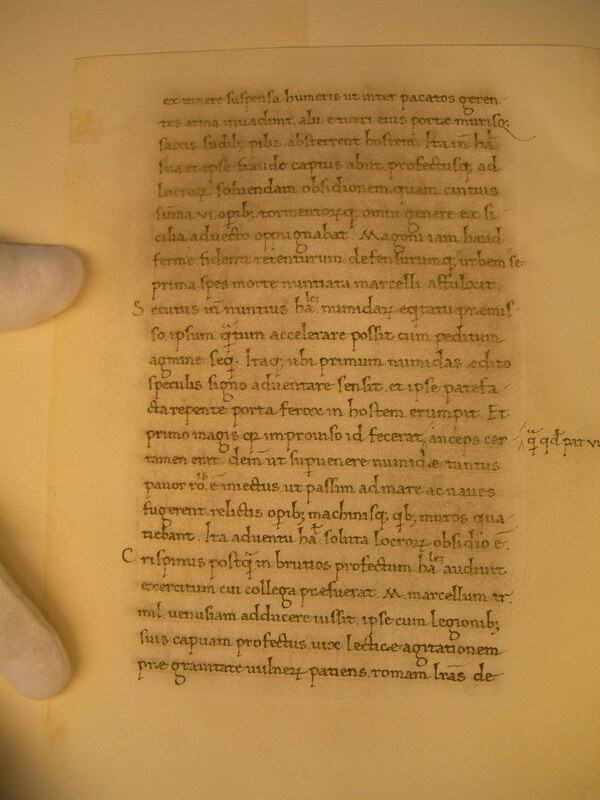 It measures 22.5 x 16 cm and its vellum is very well prepared, though some rubbing of the ink has cast a shadow over the text block of some pages. The Humanistic script is crisp, clear, and without adornment; an exception is the Denison leaf, with its striking initial "H." See Denison University Leaf 39 for more information about this manuscript. Text: This leaf contains the text of Livy's History, Book 27, Chapters 28-29. The English translation is that of Cyrus Edmonds (1850), via Project Gutenberg. Reconstruction Note! In Ege's original manuscript, this leaf followed what is now Leaf 39 in the Cleveland Institute of Art portfolio.